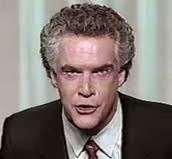 This is a 4 part series exposing televangelist Robert Tilton, done by Door Magazine and the Trinity Foundation. There were many televangelists, but I think none were as slick or as outright greedy as Tilton! This series is well worth watching. Now Tilton tries to con people out of their money online! At the peak of his popularity, around 1990, Tilton's ministry was making $1 million each week!